We’ve got just 100 days until one of the largest and best princess cruise ships arrives in Los Angeles, California. Royal Princess will begin offering cruises from the port starting in March 2019. The 3,560 passenger vessel will arrive in Los Angeles in 100 days. The cruise ship will sail to stunning destinations in including Mexico, the California Coast, and Alaska. Royal Princess will begin her new deployment on March 23, 2019. Royal Princess Spring inaugural sailings from Los Angeles will depart on March 23, 30, April 6, 13, 20, and 27. The series of cruises from the Port of Los Angeles will include the Mexican Riviera calls of Cabo San Lucas, Mazatlán and Puerto Vallarta. 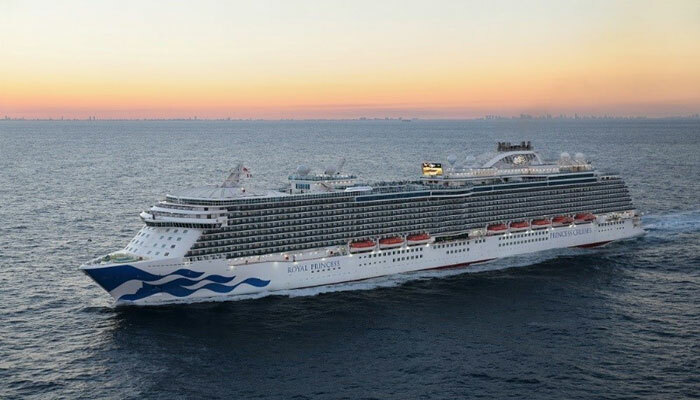 On May 4 Royal Princess will depart Los Angeles for Vancouver on a 7-night coastal voyage. On May 11 the Princess cruise ship will begin her Alaska season with 18 7-day cruises, sailing between Vancouver, B.C. and Anchorage (Whittier) with port stops in Ketchikan, Juneau and Skagway with scenic cruising in Glacier Bay National Park, plus an additional glacier viewing experience at either Hubbard Glacier or College Fjord. Royal Princess will depart Vancouver on September 14, 2019, on a three-day Coastal cruise, returning to Los Angeles on September 17, 2019, to offer a 12-day roundtrip cruise to Alaska. On September 29 the ship will then offer a wide range of long and short cruises to the Mexican Riviera, Coastal Getaways and Catalina Island. Now is a great time for those on the U.S. west coast to start thinking about a cruise vacation on one of the newest and best Princess cruise ships. The cruise line which is based in Los Angeles is also offering a special anniversary sale which includes up to $15.50 per guests per day paid gratuities and up to $800 of onboard credit per stateroom.